Published 6th August 2012 by Jon Scaife & filed under Misc Media Software. Last updated 5th February 2013 . Firstly lets address DVBLink. This suite of products have enabled net­work shar­ing of live and recor­ded TV for some time. The biggest piece miss­ing from the puzzle has been cent­ral­ised record­ing. With the release of DVBLink 4.5 at the start of July this has finally been addressed by the inclu­sion of a nat­ive recor­ded built-in to dvblink serv­er which cent­ral­ises all record­ing. Until now it was neces­sary to run DVBLink on a win­dows 7 PC, so that Media Cen­ter could be used as a record­er on the serv­er, but the intro­duc­tion of the nat­ive record­er has opened the door to run­ning a full serv­er OS which has advant­ages, includ­ing being free to stu­dents via dream­s­park. Serv­er 2012, whist includ­ing the awful new UI from Win­dows 8 does have some excel­lent new fea­tures, in par­tic­u­lar stor­age spaces. As a serv­er the UI doesn’t tend to mat­ter as much as it is rarely used, and there are ways to restore a more usable UI any­way. 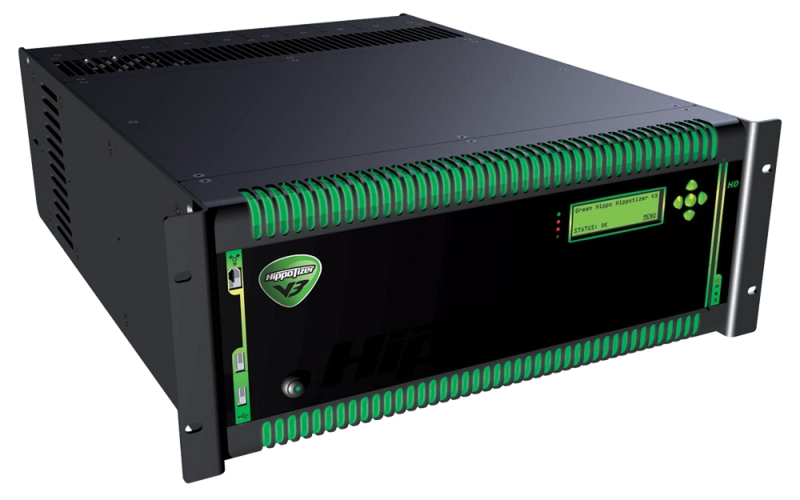 All in all, these 2 products look to provide an ideal com­bin­a­tion for a media serv­er. Once Serv­er 2012 is avail­able from dream­s­park we’ll pub­lish a full setup guide. I have had this card run­ning for six months and after that it stopped work­ing. First the satel­lite chan­nels and then the ter­restri­al. I returned it to Black­Gold and they replaced a chip and returned the card. When I installed it I still exper­i­enced the same prob­lem. I have tried to con­tact Black­Gold but they have not replied. That’s very dis­ap­point­ing to hear. Have you made any more pro­gress? If you bought the card in the UK you should be able to get a refund as the product clearly hasn’t las­ted for a “reas­on­able” peri­od of time. Whenev­er I have struggled to get a response from a com­pany I have always found writ­ing (first by e-mail, and if neces­sary by snail mail) to the chief exec­ut­ive has always pro­duced res­ults. From what I can see the Black­Gold CEO is Tony Nedd. The address for the main Black­Gold office is John Eccles House, Robert Robin­son Aven­ue, Oxford Sci­ence Park, Oxford, OX4 4GP, and their registered address is 32 Mead­ow View, Mar­low, Buck­ing­ham­shire, SL7 3PA. You could also try phoning them on +44 1865 338008.
have you got this work­ing already? I pre­sume you man­aged to get the BDA drivers installed using bda­forserv­er and Win­dows 8 files? If not give it a try, it worked for me. OK… fol­low up. I’ve made pro­gress — I think it was the lack of the Desktop exper­i­ence for some weird reas­on.. Your post Restor­ing a prop­er Win­dows 2012 UI helped me out. I’ve now got my tuner to tune on serv­er 2012. Fant­ast­ic! Pleased to hear it. I’ll update the info to make it clear desktop exper­i­ence seems to be required.